Today I have 2 times the fun with 2 cards created by two talented twins!! 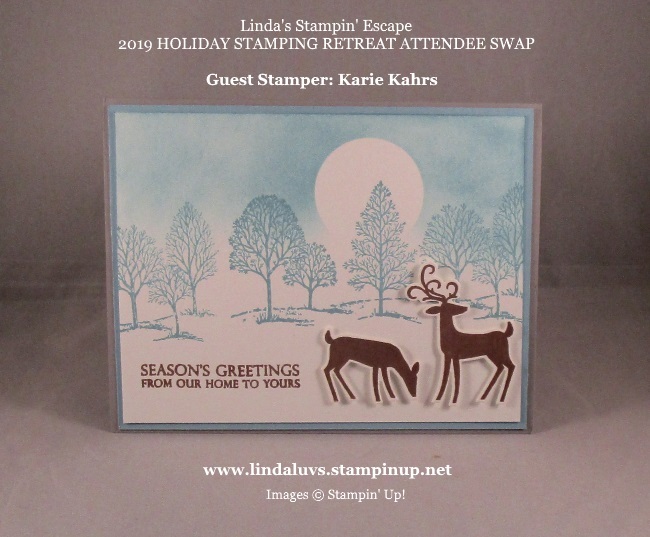 That’s right … Karie and Kellie are twins and created these cards for our Holiday Stampin’ Retreat Attendee card swap. If you’ve been following my blog you’ve been lucky enough to see some of the other swap cards … are attendees are so talented. Let’s begin with Karie’s card … She used the very popular Dashing Deer Stamp set and teamed it up with the Lovely As a Tree. I love that Karie used the masking technique to create the moon in the background, it adds a soft elegance to a natural card. Don’t you just love cards that are gender neutral, but I’m a nature lover myself and I find this card simply beautiful. Kellie used the Beautiful Baubles Stamp Set and teamed it up with the Merry Christmas To All Bundle from the Holiday Catalog. If this card was not festive enough, Kellie used the Swirls & Curls Textured Impressions Embossing Folder to add texture to her background. Hope your day is two times more fun!! 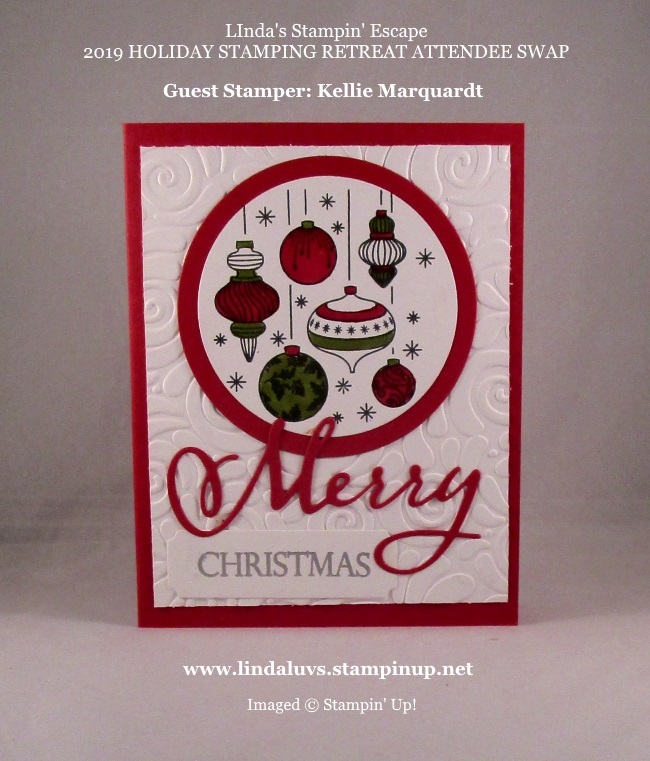 « Stampin’ Claus is Coming to Town ….